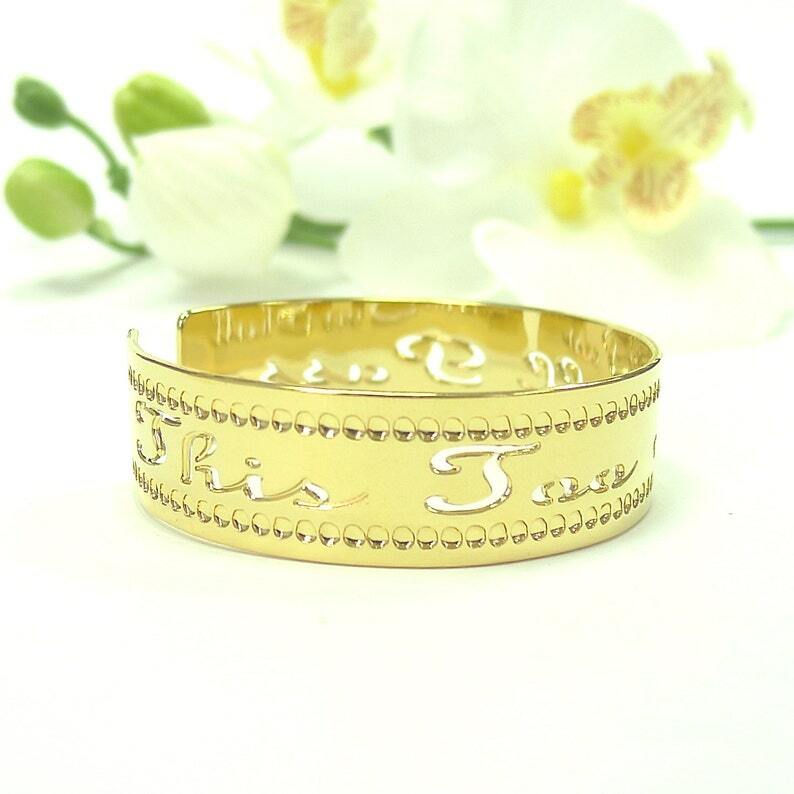 Gold bracelet cuff with an affirmation "This too shall Pass" engraved in English. 1/2 inches wide (tall) and 6 inches around, with a 1 inch opening. The cuff has some adjustability and flexibility. Made from Gold plated brass. If you like this piece, please don't wait! My collection is big but I only carry one or two items per design in stock. Production for 2014 is done, so once it's out, it will be out until some time in 2015. Get yours NOW. Thank you for looking at my gold cuff! I also make other beautiful jewelry in my shop, and I'd love for you to stop by and check out the rest of the jewelry sometime.